Today, Kate from Uniquely Undone is here for a visit. 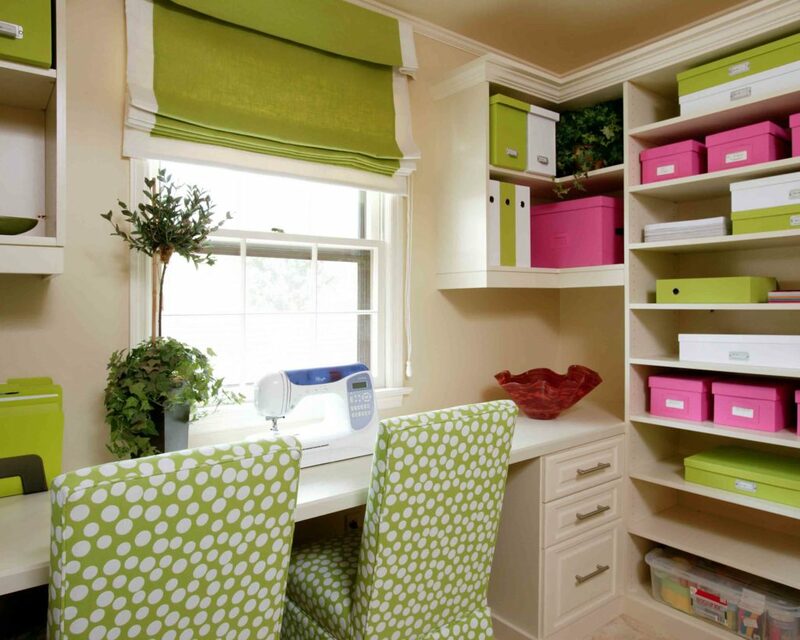 She’s got some ideas for those of us that just don’t have the space for an office or craft room. My “Craft Room” also houses a queen size bed and side tables for when we have guests. 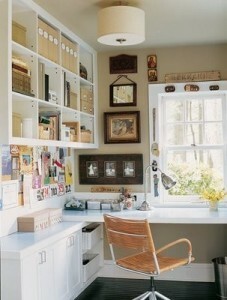 It’s not a big room and all my craft stuff got shoved in the closet before company got here one time. Since then, it has exploded out of the closet and all over that queen size bed… These are ideas I could use. So, here’s Kate. Here are just a few of my favorite “nook” offices that are way more than just a spot to get down to business…they are oh so fabulous! 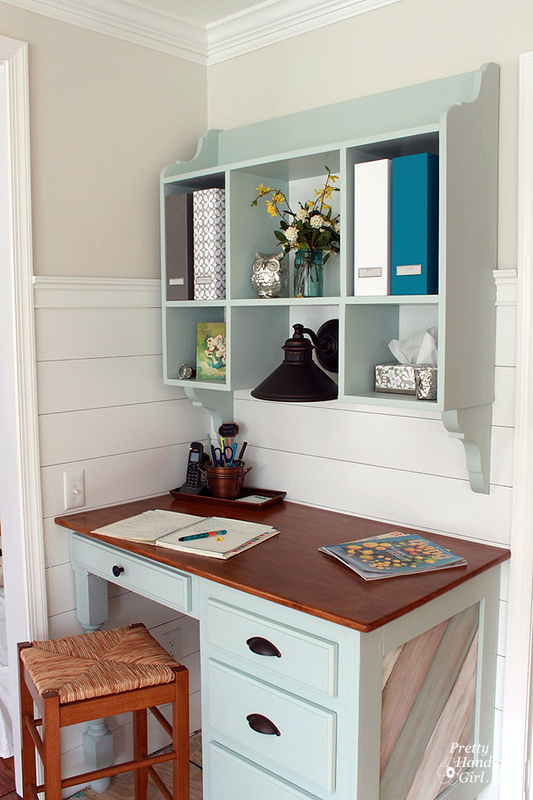 A nice corner carved out of a kitchen…makes me want to re-do my kitchen again to incorporate this! 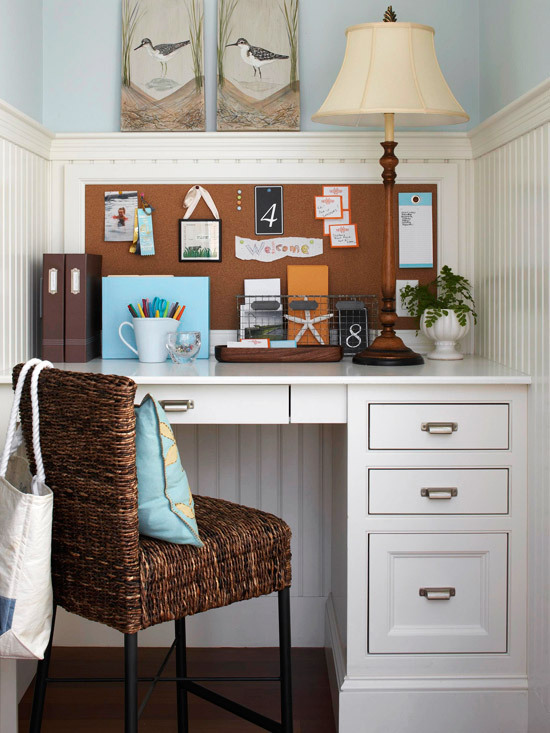 So versatile…kid work station, office, craft post…what I couldn’t do with this in my house! And of course, blue and white…my fav! 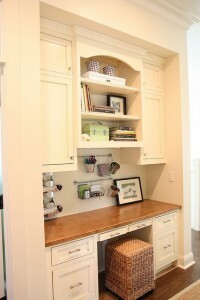 Just the right amount of cabinetry to hold all the supplies! Small can be mighty when it’s efficiently arranged. This is so perfect! A little bigger than just a “nook” but I’m loving the neutrals and the homey touch with the pictures! I LOVE the vibrant colors, chair covers and the shade! Again, a bit bigger than a nook, but wow! 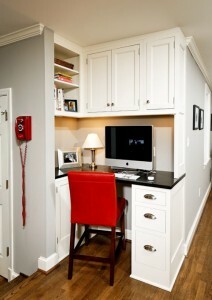 The shelves and cubbies are great for those small items and the mail slot…I so want one! A window with a view! This could fit in a back porch or a hallway! Those shelves…to die for!! 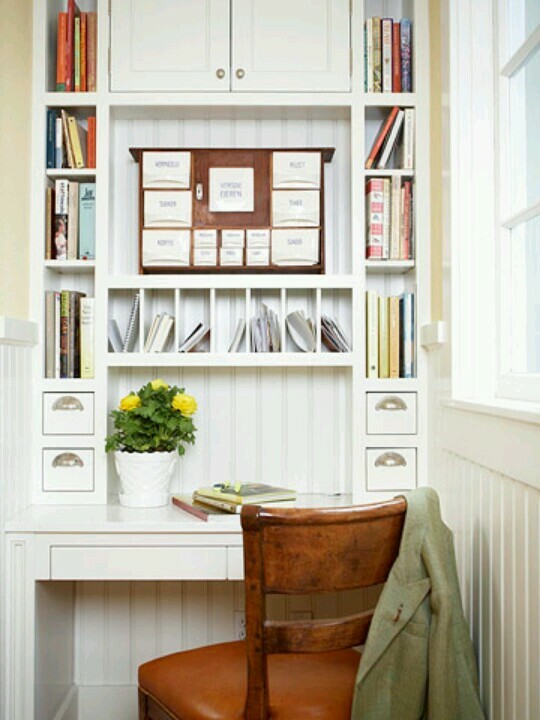 I’m a fan of shelving, and this certainly provides enough! The bright colors…makes you want to work! 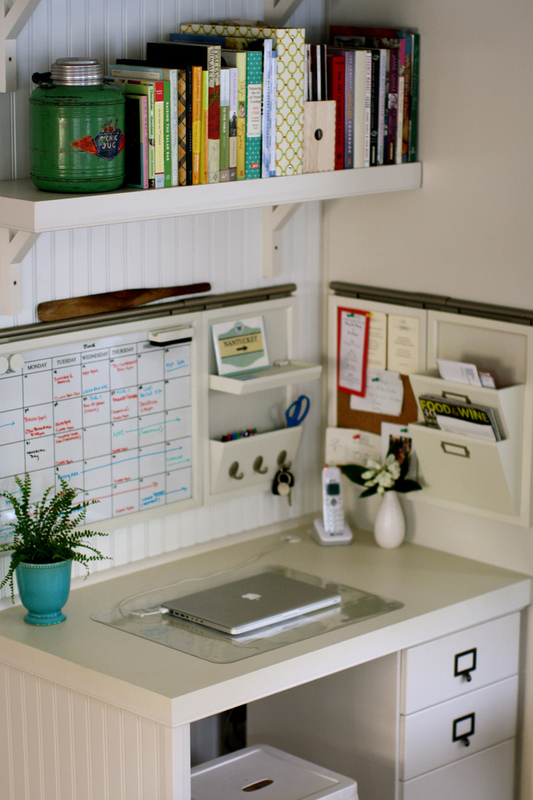 A blogger DIY…she made the desktop to fit the desk! So…which are your favorites? Don’t these make you want to get to tackling those bills rather than run from them!! Thanks, Kate! Great ideas. The nook from A Thoughtful Place has me drooling. Lots of things all in their places. Eep! That gives me hope. Maybe I will be able to contain the mess… someday. Go check out Uniquely Undone and all the great things Kate has to offer over there!